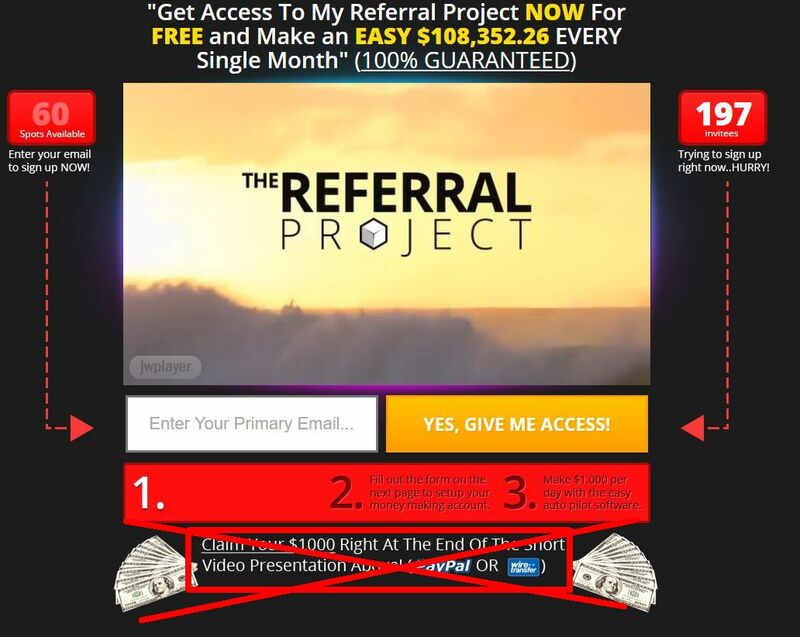 Today we are going to review a new binary options scam called “The Referral Project”. It is presented by Evan Baker. Baker says that he can make you money in two ways. The first one is a binary options trading software that he allegedly developed after three years of trading, it has not had a single losing day up till now. The second one is a referral program with his broker that will make you $35 per new depositor that you can refer. And this is allegedly the reason why is Baker giving away for free his trading software, he wants to make additional money through referrals. In total you allegedly can be making up to $4,500 per day with The Referral Project. Baker’s story is pretty original, nevertheless it still is a scam. You can tell that just because of all the BS he is claiming. At least he admits that he is getting paid for referring new depositors to his unregulated broker, because that is his only source of revenue. But saying that he can refer only 100 people and that he is getting paid $35 every day for each referral – this is a big lie, that’s not how referral programs work. Referral programs give you only a one time commission for a new depositor that trades and the number of referrals is not limited in any way. It is only logic, brokers won’t limit your efforts in bringing them new clients. But let’s have a look at the trading software that is supposed to make you $1,000 per day. It is an app used by binary options scammers, so the software is the best proof that The Referral Project is a scam. Recently we’ve seen the same app used by the Binary Interceptor scam for example. Only the logo and colours change, look at the picture on the right. This app is known for losing money. When you join the Referral Project, you will first have to deposit at least $250. So you will be risking and losing your money with their software. And you can forget about promises of free money, you’ll never get the promised $1,000, you’ll be only losing your own deposit. 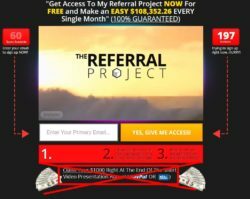 The Referral Project is just another scam that is trying to abuse the binary options wave, so don’t invest your money with it. If you want to see how people make money with binary options, try a free demo. There you will experience real binary options trading without risking your money, which will allow you to see if you are able to trade profitably.